UW Family Gardening Day is May 11th! Whether your garden sprawls across an acre or fits into a pot on your balcony, this year’s UW Family Gardening Day, May 11 on the UW-Madison campus, will provide tips for making it your best one ever. The annual showcase of gardening ideas runs from 10 a.m. until 2 p.m. at the university’s D.C. Smith Instructional Greenhouses and Allen Centennial Gardens. UW-Madison and UW-Extension experts and volunteers will be on hand at both locations with answers, ideas and demonstrations for gardeners of all ages and levels of experience. Designs for accessible gardens and ergonomic tools that can make gardening a lifelong activity for everyone, regardless of age and physical ability. Kids can make a living locket — a seed wrapped in moist cotton in a plastic bag on a string — to keep warm inside their shirts until the seed sprouts for planting. They can also take home a four-pack of tomato, pepper, basil and oregano seedlings to grow the makings of a perfect pasta sauce, and transplant a seedling to a “cow pot” made of organic material that can be planted pot and all. Ideas for limited-space gardening. The terrace and kitchen gardens of the 2.5-acre Allen Centennial Gardens will be full of raised beds, pots, planters, bags and similar gear for growing vegetables and flowers in nooks and crannies. Displays of cold frames, row covers and similar techniques for extending the season. Organic lawn care. Bando Organics will show how it maintains the Allen Centennial Gardens lawn. Tour the gardens to view thousands of ornamental plants including vegetables, perennials, trees and shrubs in 26 individually themed gardens. Volunteers will be stationed throughout to answer questions. 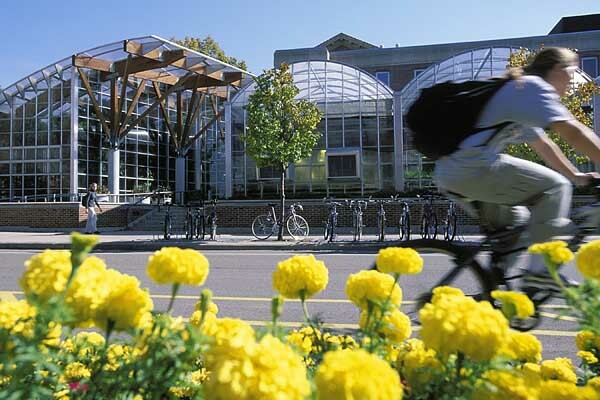 Steenbock Library, located between the two gardens, invites visitors to peruse its extensive collection of horticultural information, including UW-Extension materials for Master Gardeners. The Babcock Hall dairy store will be open and dishing up its famous ice cream treats. 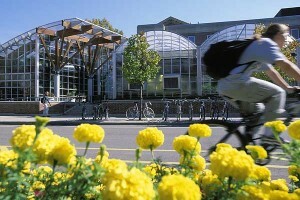 The D.C. Smith Greenhouse is located at 465 Babcock Dr., across the street from Babcock Hall. Allen Centennial Gardens is a block north at 620 Babcock Dr. Free parking is available in Lot 40 behind Babcock Hall and in Lot 36 just west of Steenbock Library. This entry was posted in Uncategorized by Johanna Oosterwyk. Bookmark the permalink.